Welcome to the first Fancy Friday of 2019! 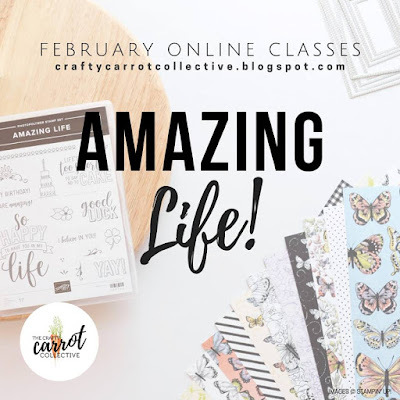 This Fancy Friday blog hop is a group of Stampin' Up!© Artisan Design Team award winners that come together to share some pretty amazing projects! Our blog hop theme this month is "Your Favorite Sale-a-bration Item". 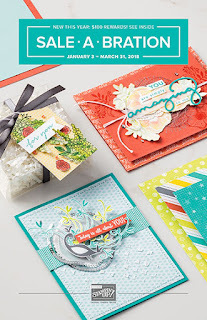 Sale-a-bration happens once a year, January thru March, and is the biggest promotion Stampin' Up!© offers!! For every qualifying purchase that you place, you receive any one Sale-a-bration item ... FREE! To view the Sale-a-bration products in my online store, click HERE. These products are exclusive to this promotion and are available for a limited time only. 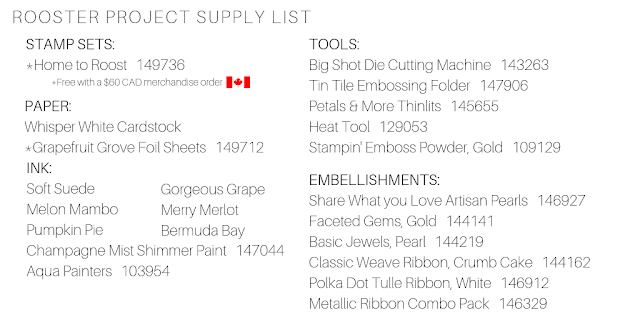 With so many amazing free products to choose from, it really is hard to pick a favorite. For my project today, I cheated. 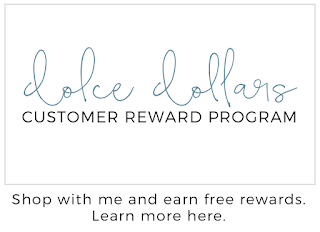 I used two free products to feature! 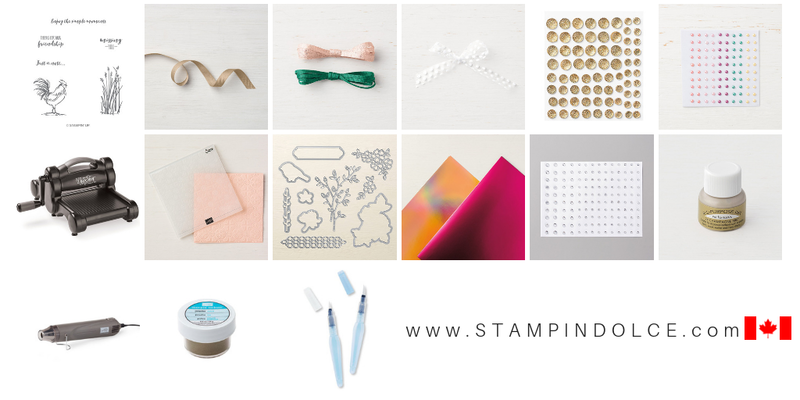 In the 2018 Stampin; Up!© Holiday Catalogue, the Tin Tile Embossing Folder made its debut. It has carried over and is still available. 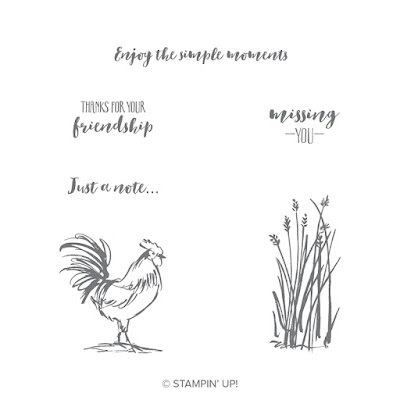 Doesn't it pair perfectly with the rooster from the Home To Roost Stamp Set? I stamped the rooster in Soft Suede, sprinkled Gold Embossing Powder over it and heat set with the Heat Tool. This is done on Whisper White Cardstock, nothing fancy! You could do it on Watercolor Paper, but I liked the bright white of this paper and that it matched my background white paper. 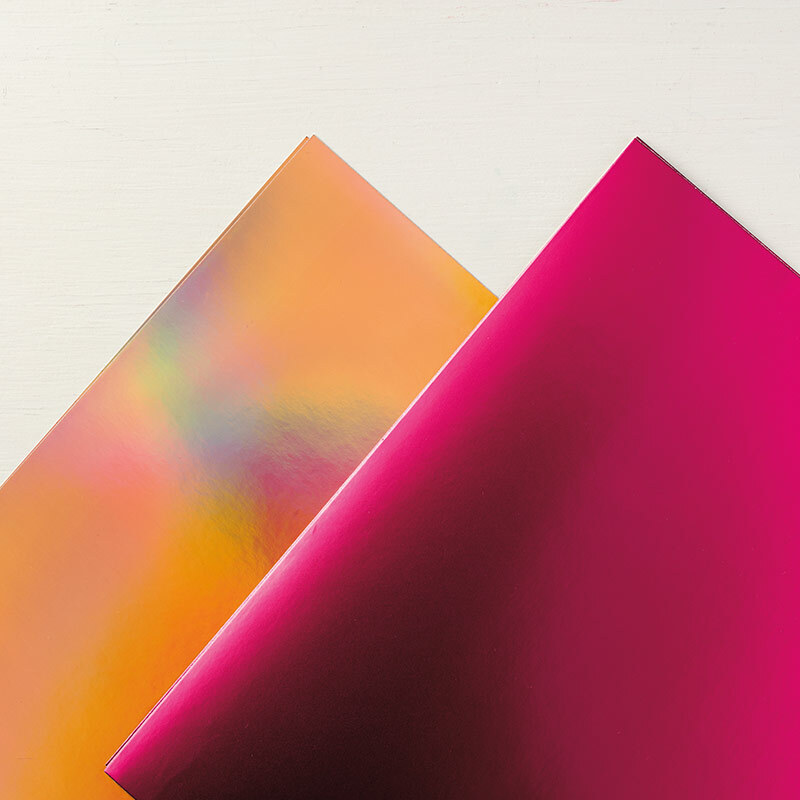 You may notice that the Watercolor Paper has an ivory tone to it. I will show you my rooster color combo below, but to color him, I simply squeezed my ink pad, while closed, pressing the lid into the top of the stamp pad case. This will transfer the ink to the stamp pad lid and makes the perfect "paint palette" to color with. Using an Aqua Painter, filled with water, I picked up the color and brushed over the rooster. A tip when water coloring with Whisper White Cardstock ... apply the color with one brush stroke. Do not go back and forth over the image, as this will pill the paper. The thread in on the card is the 3/8" Classic Weave Ribbon in Crumb Cake. I used my scissors to cut up one side of the ribbon, along the seamed edge. Next, pull the threads of the ribbon free and use adhesive to fasten to the back of your cardstock. I love to splatter and on this card I used the Champagne Mist Shimmer Paint. I used a cheap paint brush from the dollar store, dipped it in the ink, and flicked on the paper with my thumb. 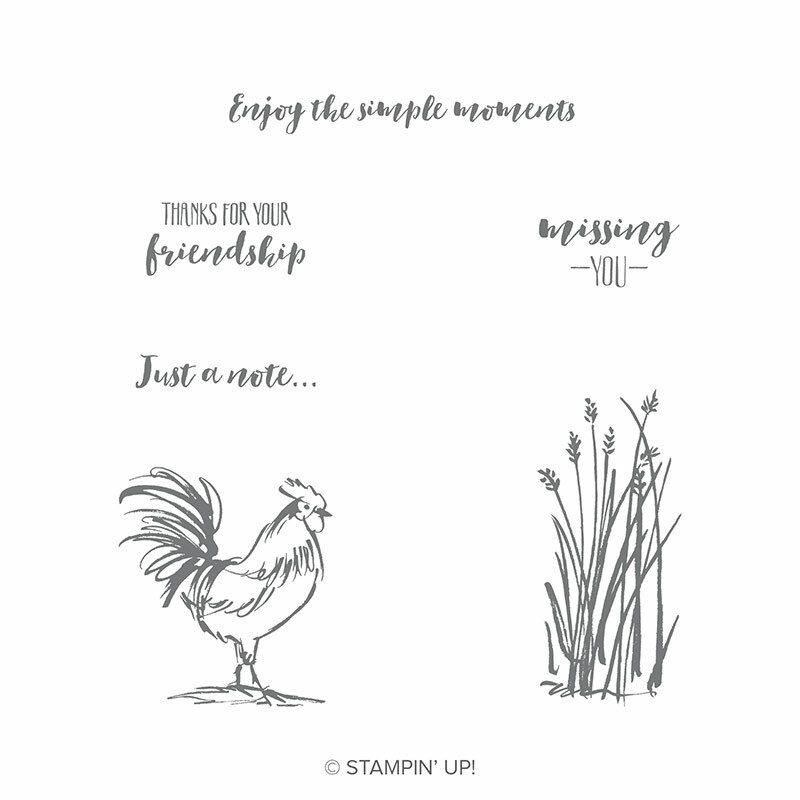 This product was also in the 2019 Stampin' Up!© Holiday catalogue and has carried over! Up next on the Fancy Friday blog hop is Lauren Alarid. Shop with me and earn access to the Crafty Carrot Co. project tutorials! This color combo is everything! That rooster looks fantastic and the card as well! You are just so good with color. Wow! How do you come up with these amazing color combos! This is amazing! Thank-you! I just googled roosters and started to play with color. I wanted something bright! Krista - this is stunning. I would have never have thought to put all of these colors together, I can only imagine how much more amazing this looks in person. This is the most sophisticated rooster I've seen from this set. I bet he gets ALL the chicks!! ;-) Thanks for sharing your talent with us!! Oh! This card ist absolutely amazing! Loooove it! Krista, I am late to checking this out but I am totally in love with your colouring and the inside of your card. You rocked this - #inlove.